Observation - Dead tree in private garden - Southern Africa. 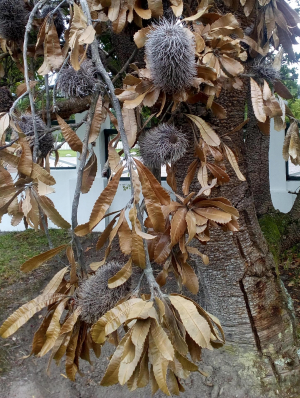 Description: Spotted the dead tree with dry flowers in a private garden of the village of Storms River. Spotted the dead tree with dry flowers in a private garden of the village of Storms River.